Wow. What an amazing day. I found myself running up and down the stairs of Vic High and in and out of cafeteria cupboards. The results were inevitably amazing... 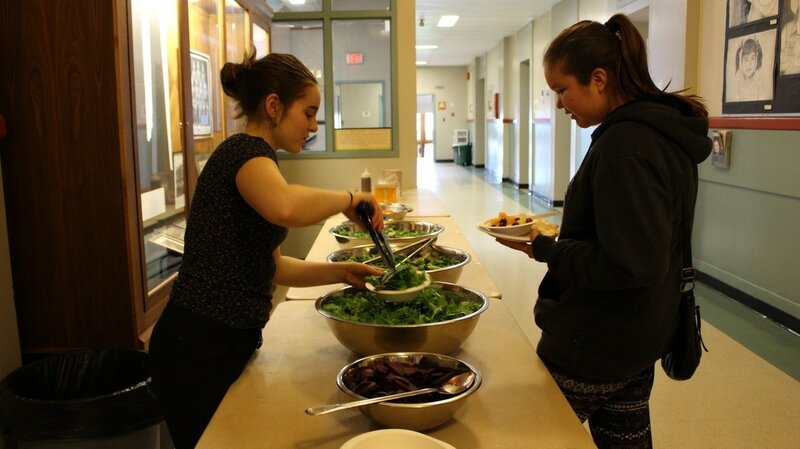 Seeing students smile as you serve them fresh greens and colourful veggies is the most rewarding thing. ​We had the most amazing helpers today. 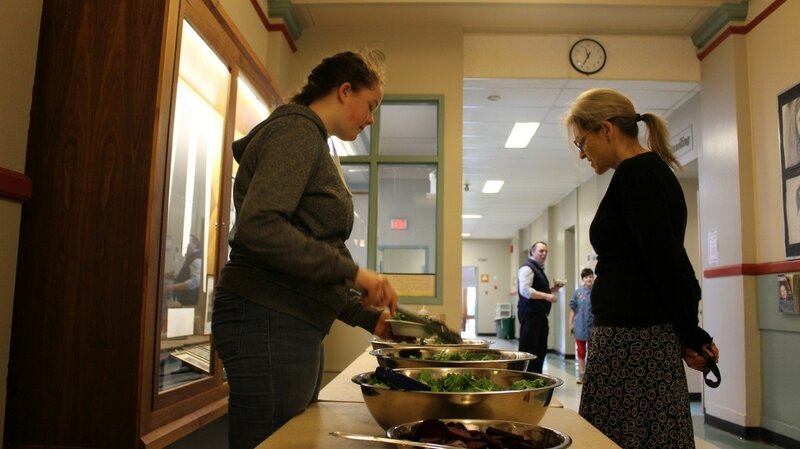 Graham Campbell's class cut all the cucumbers, boiled and sliced the beets, minced the garlic, grated the carrots, washed and prepped the greens, and listened to my fluttery instructions. Their enthusiasm and patience was spot on. I can't help but be in awe at the beauty that such a salad bar can help create. All the elements of a supportive community come together. 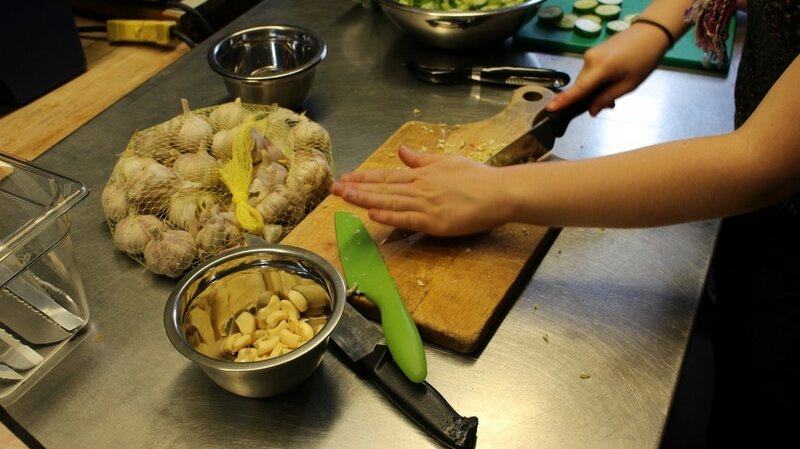 People laugh while making communal food, they connect while feeding their friends, they discover new flavours and parts of themselves. I am so grateful to be part of such a wonderful community at Vic High. So much work was put into these little bowls of bursting vibrancy. It did take time, effort and passion to not only make the appealing salads but to set up the entire program. There's a team of us that have been spending countless volunteer hours on setting up the salad bar program. Asha Rao is our strong and magic fairy teacher. She was the one and only that got us our garden space several years ago, and she hasn't stopped since. 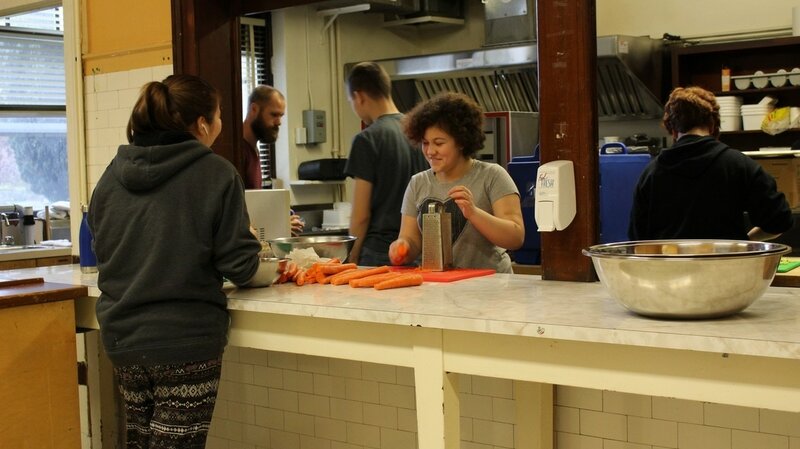 The salad bar program is funded through an amazing grant from Farm to School. Ms. Rao got us the grant, collected the team of salad loving leaders and continues to organize our meetings, communication, and more. ​And then we have Aaren Topley. Our Farm to School representative on the salad team and every victorian foodie's number 1 contact. His knowledge about the technicalities of food systems and communication within them is gold. Jesse is our farmer. He is hired through our Farm to School grant to work with students in the garden and help grow salad for salad days. Mason st. Farm is his home and when he comes to our garden he brings all the wonderful fertilizers, starts, compost, seeds and countless other goodies, including a bag of home grown salad. 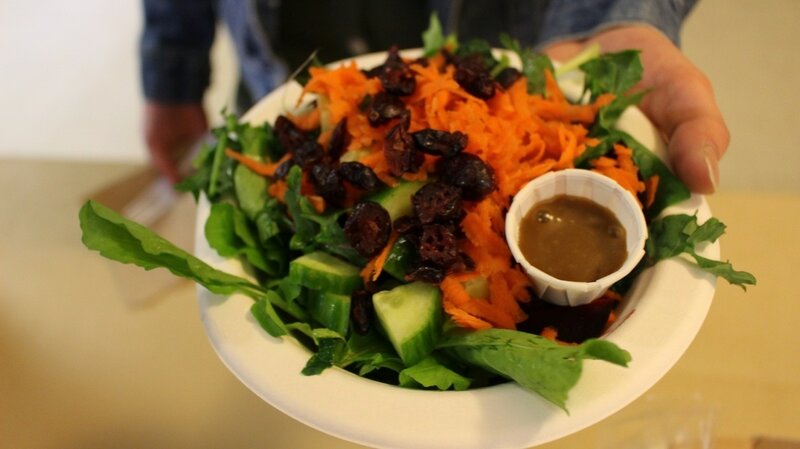 Today the salad he grew fed our staff and students, some of which was generously donated! Schools are starting to more and more, sneak in the dirt. As people like Aaren Topley work on School District regulations to get gardens and salad bars into schools, more life comes to the buildings we learn in. 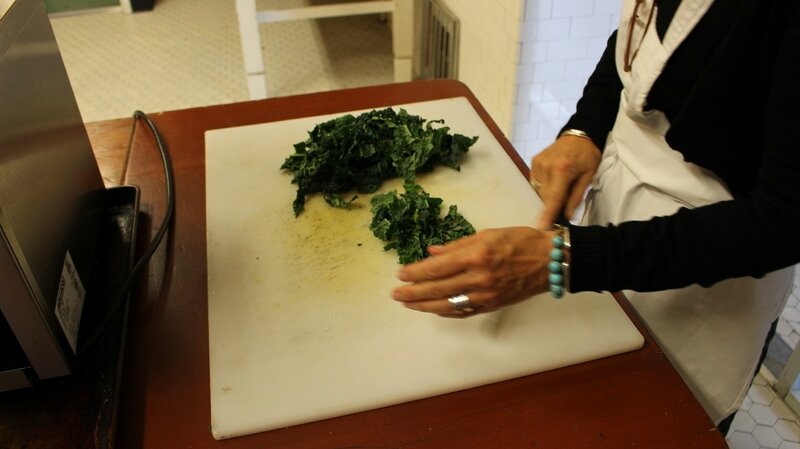 The work it takes to get some local greens into a student's hand is insane! That said, it is one of the most important additions to our institutions. As I have been working with all these amazing people and learning the ins and outs of the foodie world, I get to witness and take apart in the innovation of healthier schools. All staff members and students at Victoria High School! See the author's name at the bottom of a blog post.